QR codes never really caught on when they were introduced almost a decade ago. They were seen as a death sentence for any company caught using them. Improper use of QR codes by marketers had a lot to do with it, coloring our opinions of this technology. Yes, we’re still talking about millennials and social media, and it probably won't stop anytime soon. Millennials are one of the largest, most peculiar, and hardest to market to generations to appear in a very long time and ignoring their existence and buying power is impossible. Brands are starting to clue into this and are altering their marketing strategies to appeal to millennials. One brand in particular, Snapchat, has really seemed to master this intimidating artform. Unless you've been hiding under a rock, you probably know by now that Snapchat is currently the hottest social media platform around. 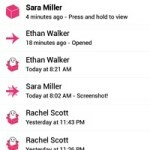 Of course, it's been on the scene for quite some time now so it's not exactly new, but the team at Snapchat has been making improvements to the platform in order to encourage user interaction and create a strong, snapping community. For many company's the world of Snapchat is unchartered territory. But for company's who are serious about connecting with Millennials and even Gen Z (the generation directly following Millennials), Snapchat is a must. According to comScore, 45 percent of Snapchat users are 18-24, the largest percentage of that demographic on any social platform. And comScore's study ignores anyone under that age, which you can bet is a significant number of Snapchat users. How Can Snapchat Help Your Brand? Not sure if you should ignore the Snapchat phenom or jump on the bandwagon? The latest statistics estimate the hot social media app is gaining 10 million users per month, so the easy answer is—it’s time to jump on board. The hard question is, how? Although the popular photo messaging app allows you to share photos, record videos, text and drawings, the “messages” also disappear within a few seconds. So how does Snapchat help brands spread their messages? There's been a lot of buzz today about the new features coming out for Snapchat. 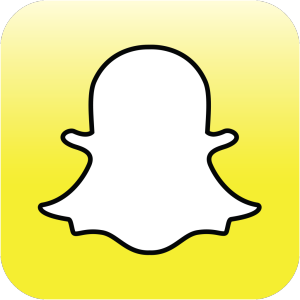 For those of you who don't know, Snapchat is a social media platform that allows you to send videos and images to your contact list. So what makes this different from regular text messaging? The image or video self destructs after a set amount of time. And whenever the receiver of your image chooses to take a screenshot, Snapchat lets you know.